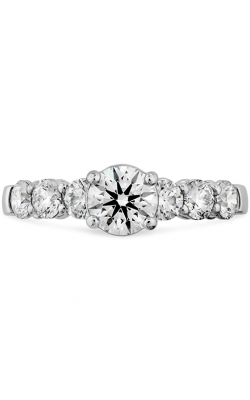 “Side stone” refers to engagement rings that have jewels decorating the bands. It’s a simple idea, but it can be explored in a number of creative and unexpected ways. 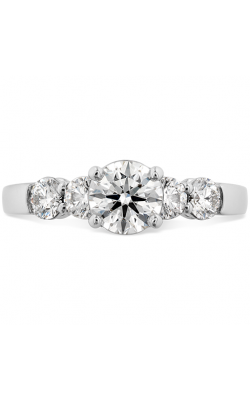 For example, the side diamonds can be cut in any shape, creating either a contrast or compliment with the shape of the center diamond. 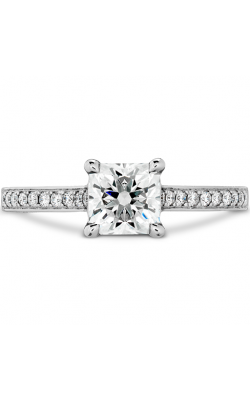 The side diamonds can be channel-set, pave, prong-set. The side stones don’t even have to be white diamonds! 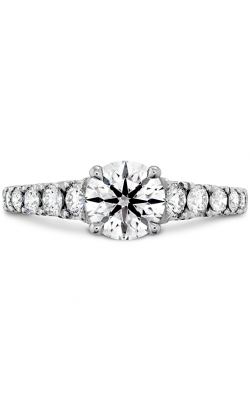 The sky’s the limit when it comes to the elegance of side stone engagement rings, and here at Northeastern Fine Jewelers, we’re here to find the right one for your personal style. If you’re interested in colored side stones, the Simon G Delicate collection is absolutely rich with engagement rings that feature them. What adds to the natural beauty of the pink and yellow diamonds is that in the silky platinum rings, Simon G places channels of 18k yellow and rose gold to accentuate the color of the diamonds placed in them. Truly a creative touch from a designer that already turns heads with all of their bridal jewelry. If you’re fond of engagement rings with bold colors, the Tacori Coastal Crescent collection pairs 14k rose gold with enough pave-set side stones to create a glistening pink effect. 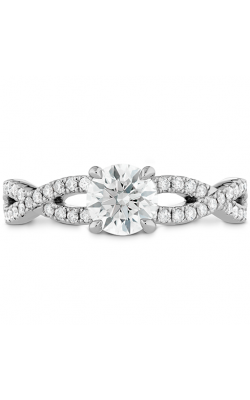 Michael M shows how inventive and gorgeous channel-set side stones can be. Its Stella collection features engagement rings whose center diamonds are surrounded by intriguing channels filled with white diamonds—and with pave- and bezel-set diamonds on the underside. We suggest the Stella collection to a woman who wants to blend the elegance of the vintage with the cutting edge of jewelry design. Also, Hearts on Fire shows how side diamonds, when absolutely encrusting the metal of a band, can create a unique aesthetic charm. Its Euphoria collection, with pave-set diamond on every outward surface of the ring, creates the appearance of a river of pure light. 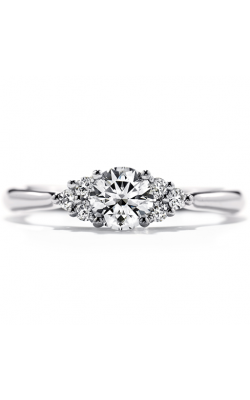 Why Shop for Side Stone Rings at Northeastern Fine Jewelry? For over 38 years, Northeastern Fine Jewelers has kept its finger on the pulse of the jewelry industry to know what trends are popular and what our customers want. 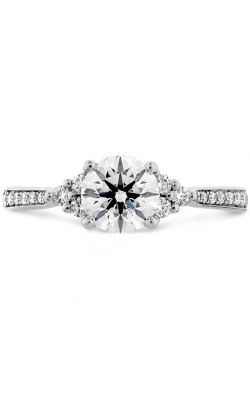 Side stone engagement rings are a treasure that brides-to-be clamor for, but we also carry a dazzling selection of other styles, including solitaires and halo engagement rings. Don’t forget that we also have wedding bands to complete your bridal set, fashion jewelry, and Swiss-quality timepieces that make a one-of-a-kind gift. If you’re interested in the jewelry and services, including jewelry repair, contact us at 1-855-795-NEFJ (6335), or visit our Schenectady, New York showroom today!